With the NFL season nearly at its midpoint, it’s a good time to review which teams have been the best to bettors, as far as the updated NFL ATS records go through Week 8. That means, which teams are paying NFL spread bettors this season, and which are regularly fleecing them. The top team in the league against the spread are the Kansas City Chiefs at 7-1. 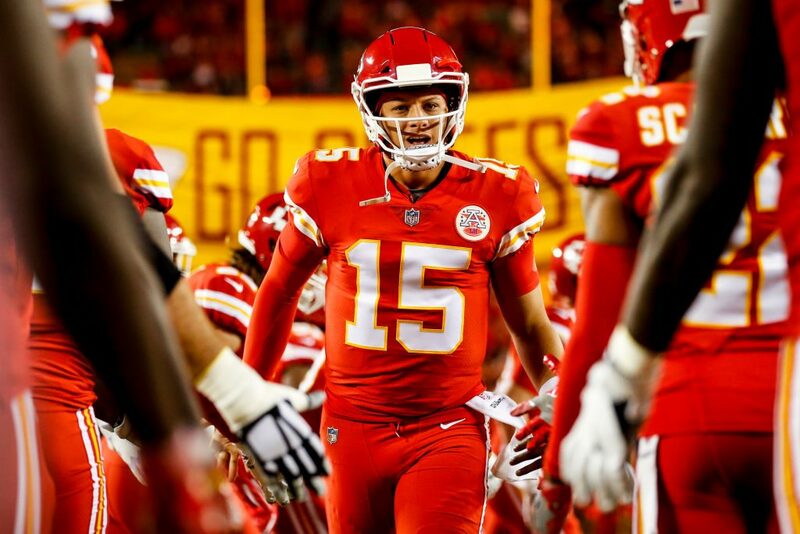 The Chiefs had reeled off seven straight wins ATS before their first ATS loss of the season against the Denver Broncos last week in a 30-23 victory as 9-point favorites. Is the Chiefs’ first ATS loss the beginning of the end of them being a profitable pick for bettors, or just a blip? This week’s NFL odds have Kansas City as 9-point road favorites against the Cleveland Browns. The Chiefs have won nine straight ATS on the road, but the 9-point spread is a little concerning. When favored by nine points or more, the Chiefs are 1-5 ATS in their last six. If the Chiefs and their No. 1 ranked scoring offense face a lot of big spreads the rest of the way, their ATS success may be over. The only other teams in the NFL even close to the Chiefs’ ATS record are the Washington Redskins, New Orleans Saints and Detroit Lions, all at 5-2 ATS. The Redskins and Lions have both been highly successful this season as an underdog. Detroit is 3-0 ATS, while the Redskins are 4-1 ATS. With five road games remaining and home games against the Los Angeles Rams and Minnesota Vikings, the Lions should have plenty of opportunities left to be an underdog again. Washington may be solid as an underdog this year, but that doesn’t mean they’re a lock on the road. In their last six road games, Washington is only 2-4 ATS. The worst team in the NFL this season ATS are the San Francisco 49ers at 2-6 ATS. That puts them just ahead of the Oakland Raiders and Atlanta Falcons, both at 2-5 ATS. The 49ers have lost six straight, while going 2-4 ATS. Since losing quarterback Jimmy Garoppolo, their season has basically been a complete write-off. In the two games the 49ers were favored in this season, they went 1-1 SU and 0-2 ATS. They are favored this week against Oakland, but in their last 13 as the favorite, they’re 5-8 SU and 1-12 ATS. Being favored may be a bad thing. There is one positive for San Francisco. After next week’s home game against the New York Giants, they may not be favored again this season. For those wondering, they’re 5-3 ATS in their last eight games as an underdog. The return of Jon Gruden to the Raiders has been a total disaster so far, for Raiders fans and bettors alike. The ATS losing trend may continue for Oakland. Five of the Raiders’ remaining games are on the road and they’re 2-7-1 ATS in their last 10 road games. The Falcons have been a total bust this season. It doesn’t look like things will get much better in the second half. Somehow, the Falcons play six of their remaining nine games on the road. In their last 10 road games, Atlanta is 2-8 ATS.